Applications for the Energy Medicine Program are now being accepted. Please contact the office if interested. 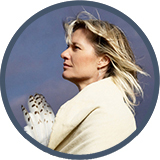 Sandra Moon Dancer blends healing traditions of west and east Energy Medicines. Techniques based in Tribal traditions from First Nations, Buddhist White Lotus and the Divine are all part of the journey. This diversity and flexibility supports clients in integrating and strengthening themselves in today's modern world. Journeying with Sandra Moon Dancer allows you to reconnect with your heart and find new ways of expressing yourself. Welcome to the Centre of Circle Wisdom. *Policy for cancellations is 48 hours notice before your scheduled session. Clients are responsible for full exchange of scheduled sessions. Upon request, The Centre of Circle Wisdom issues receipts for workshops, programs, and energy sessions up to 3 months after date of service.